Last night we had a date night done frugal style. We started the evening out at a new (to us)restaurant using a $25 restaurant.com certificate I bought for $1 during a 90% off sale. We had good food, a fun atmosphere and great service for $26 including a 19% tip on the whole amount. Then we used Groupons for the Starlight Theatre performance of Hello Dolly. It was a wonderful performance and we had gotten seats in the first section for only $20 apiece (regularly $45). 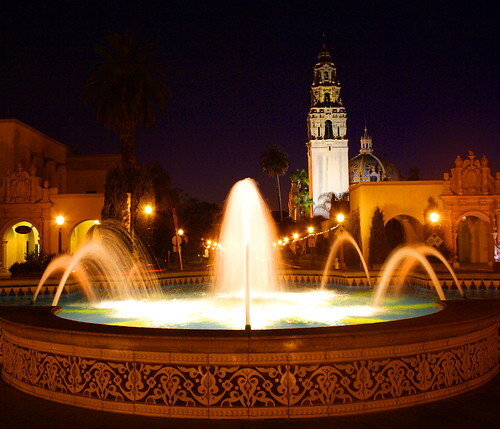 The theatre is located in Balboa Park which is one of the best city parks in the U.S. (if not the world). That’s the first day of the holiday weekend. I don’t think we can top it! Time to get to my reading picks for the week. Darwin’s Finances asks if the McMansion is dead? Although that would be good news, I think it’s just on a back burner until the economy improves. Do you make these 5 expensive grocery store mistakes from Not Made of Money? Financial Samurai’s post on how to get girls if you live at home resonated with me because I now have two adult sons in the household. I really don’t care if they have a love life; just want them to be able to fly on their own. There are good tips on how not to drown in a sea of financial stress from Financially Poor. The Millionaire Nurse Blog talks about divorce in this new economic reality. No matter what it is a finance-altering experience. What is your motivation for getting out of bed each morning? Live Real, Now talks about how it can shape your life. Buy Like Buffett shares how your grandparents (or parents for those in my age group) made more money than you in the 1970’s. These articles are blogging related versus personal finance. I thought they would be useful to my readers that are also bloggers. Ah, but if they are adult males, once the male has a love interest, his desire to go fly on their own will be expedited! His motivation will go up 1000% if there is a woman to keep him focused! Trust me on this! Thanks for mentioning the article. I appreciate it. Every one acknowledges that humen’s life seems to be not cheap, but different people require cash for various things and not every person gets enough cash. Hence to receive fast home loans or just financial loan would be good way out.